Non training days; 1 Serving mid-morning. 1 Serving mid-afternoon. 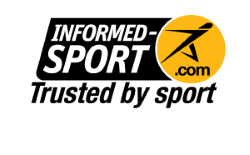 Maltodextrin, whey protein concentrate (milk), milk protein concentrate, isolated soya protein (contains emulsifier: soya lecithin), cocoa powder (6%), oat flour (5%), soya oil powder, medium chain triglycerides, calcium hydroxy methylbutyrate, fructooligosaccharide (1%), flavourings, thickener (cellulose gum),sodium chloride, sweeteners (sucralose, acesulfame K). 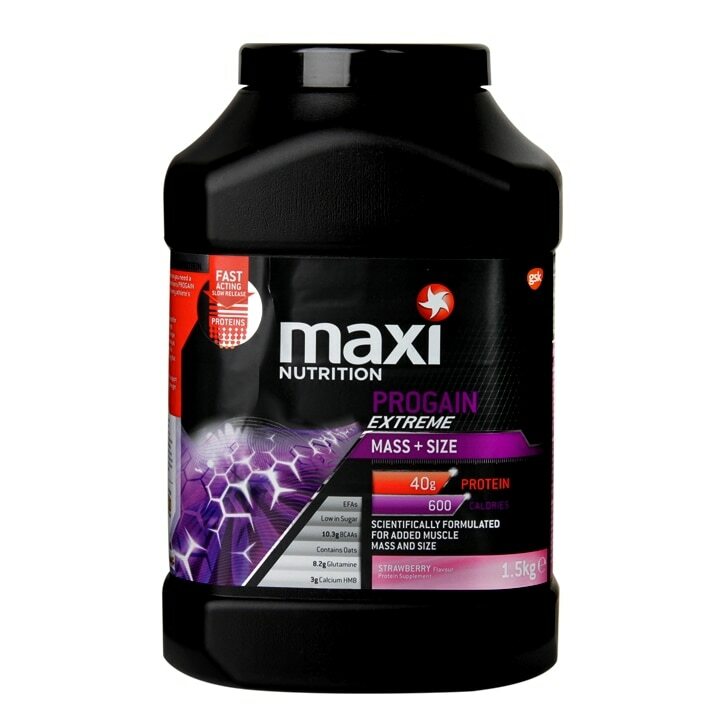 MaxiNutrition Progain Extreme Powder Strawberry is rated 4.7 out of 5 by 10. Rated 4 out of 5 by PhilManU from Good Taste not too sweet like some others. Love this Product it’s good tasting and mixes ok. Great Product! Rated 5 out of 5 by Zayusaas from Great taste Been using this brand for several years. Totally reliable and it works! Rated 4 out of 5 by Stevezbit from More Protein per Scoop ? I bought this product because the write up said ' more protein per scoop'. True. But I think that is because they provide a bigger scoop in the container. Felt a bit let down. Rated 5 out of 5 by campbell52 from Great product I have been looking for a product that would help me get the results that I was after from a heavy training regime as this is it, value for money definitely.